Purpose: Traditional maneuvers aim to decrease retroperitoneal bleeding in hemodynamically unstable multi-trauma patients with unstable pelvic fractures, are reportedly successful in approximately only 50%. The life-saving effect of extra-peritoneal pressure packing (EPPP) is based on direct compression and control of both venous and arterial retroperitoneal bleeders. This study describes the safety and efficacy of emergent EPPP employment, as a stand-alone surgical treatment, that is, carried out without external pelvic fixation or emergent angiography. Materials and Methods: A retrospective chart review of all hemodynamic unstable, multi-trauma patients with mechanically unstable pelvic fractures treated by the EPPP technique at our medical center between the years 2005 and 2011. Survival rates, clinical, and physiological outcomes were followed prospectively. 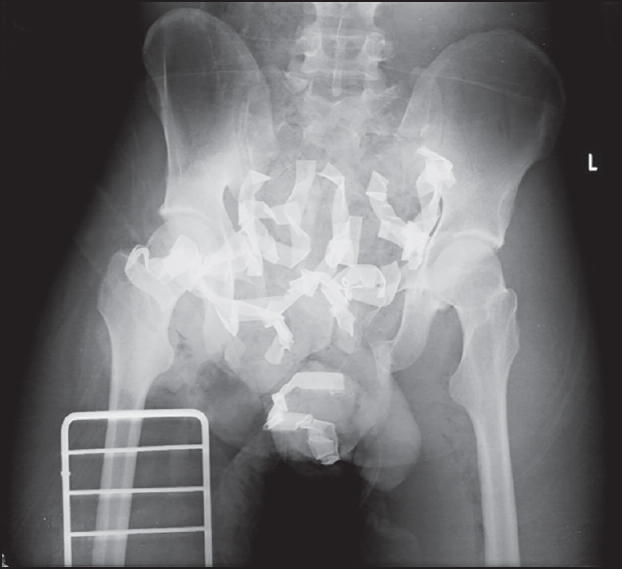 Results: Twenty-five of the 181 pelvic fracture patients had biomechanically unstable fractures that required surgical fixation. 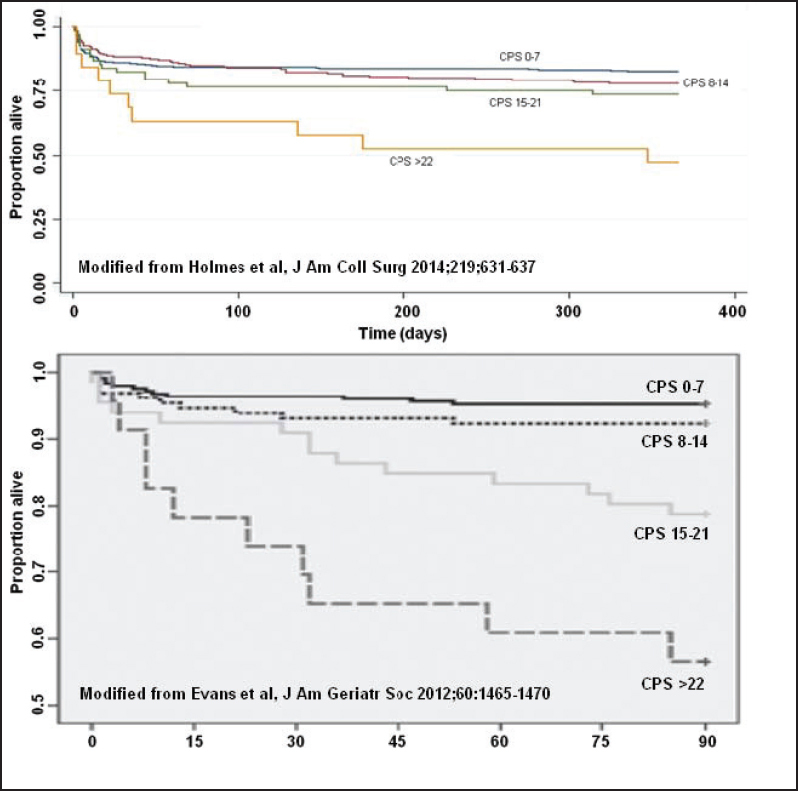 Fourteen of those 25 patients had deteriorating hemodynamic instability from massive pelvic bleeding which was resistant to resuscitation, and they underwent EPPP, as a stand-alone treatment. The procedure successfully achieved hemodynamic stability in all 14 patients and obviated the early mortality associated with massive pelvic bleeding. 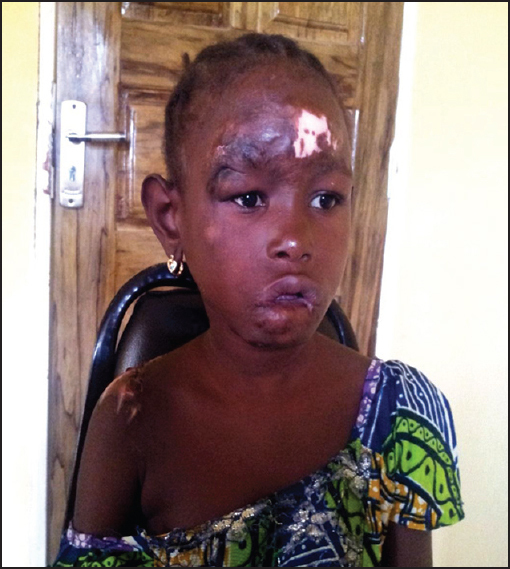 Three of these patients eventually succumbed to their multiple injuries. Conclusion: Implementation of EPPP improved all measured physiological outcome parameters and survival rates of hemodynamically unstable multi-trauma patients with unstable pelvic fractures in our trauma center. 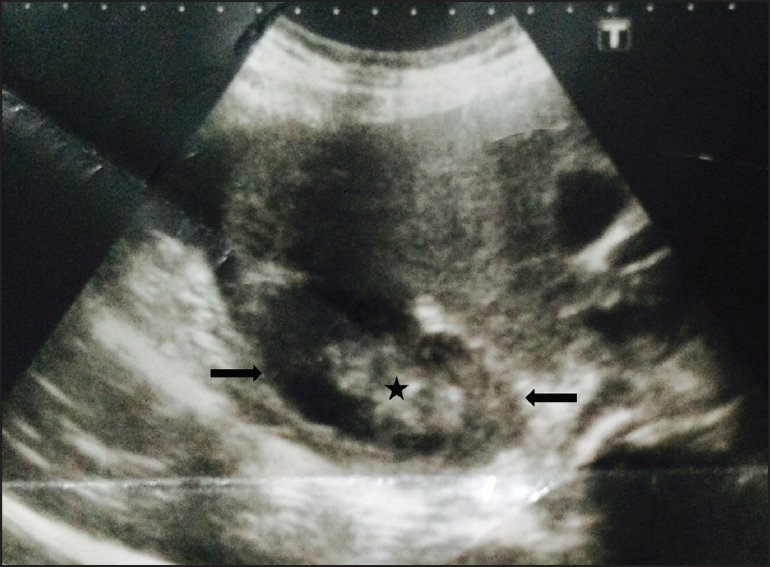 It provided the unique advantage of directly compressing the life-threatening retroperitoneal bleeders by applying direct pressure and causing a tamponade effect to stanch venous and arterial pelvic blood flow and obviate the early mortality associated with massive pelvic bleeding. Background: Accidental extubation during surgery in prone position can be life-threatening. Supraglottic airway devices (SAD) have been used successfully in such situations to rescue the airway. However, which SAD would be most appropriate in this setting has not been described in the literature. Aims: The aim of our study was to determine the most appropriate SAD for securing airway in a prone position during accidental extubation. 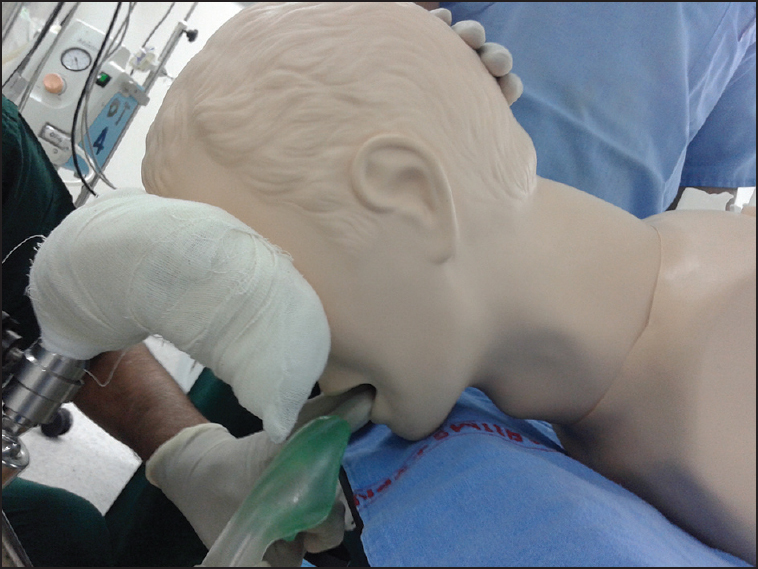 Materials and Methods: In the study, Airway Trainer (Laerdal) manikin was used for studying insertion of three SADs; I-gel, Laryngeal Mask Airway ProSeal™ (PLMA) and LMA Classic™ (CLMA) in the prone position. Forty anesthesia resident doctors participated in this study. The time taken for insertion; ease of insertion and ventilation; bronchoscopic view; and insertion score were compared among the three groups. Results: The time taken for I-gel insertion was significantly lesser (12.89 ± 3.94 seconds) as compared to CLMA (17.07 ± 3.5 seconds) and PLMA (25 + 4.78 seconds). Least resistance was encountered in the insertion of I-gel, while maximum resistance was experienced in PLMA group (22.5% vs. 90%). The maneuver required for optimal positioning was observed in 27.5% of PLMA insertion, 2.5% in CLMA while no maneuver was required in any of the I-gel insertion. Ease of ventilation was comparable in all three SADs. The bronchoscopic view and insertion score were significantly higher with I-gel as compared to CLMA and PLMA. Conclusion: All three SADs were successful as rescue devices during accidental extubation in the prone position. However, the ease of insertion was maximum with I-gel, followed by CLMA and PLMA. 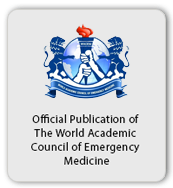 Background: The incidence of abdominal trauma is still underreported from the Arab Middle-East. We aimed to evaluate the incidence, causes, clinical presentation, and outcome of the abdominal trauma patients in a newly established trauma center. Materials and Methods: A retrospective analysis was conducted at the only level I trauma center in Qatar for the patients admitted with abdominal trauma (2008-2011). Patients demographics, mechanism of injury, pattern of organ injuries, associated extra-abdominal injuries, Injury Severity Score (ISS), Abbreviated Injury Scale, complications, length of Intensive Care Unit, and hospital stay, and mortality were reviewed. Results: A total of 6888 trauma patients were admitted to the hospital, of which 1036 (15%) had abdominal trauma. The mean age was 30.6 ± 13 years and the majority was males (93%). Road traffic accidents (61%) were the most frequent mechanism of injury followed by fall from height (25%) and fall of heavy object (7%). The mean ISS was 17.9 ± 10. Liver (36%), spleen (32%) and kidney (18%) were most common injured organs. The common associated extra-abdominal injuries included chest (35%), musculoskeletal (32%), and head injury (24%). Wound infection (3.8%), pneumonia (3%), and urinary tract infection (1.4%) were the frequently observed complications. The overall mortality was 8.3% and late mortality was observed in 2.3% cases mainly due to severe head injury and sepsis. The predictors of mortality were head injury, ISS, need for blood transfusion, and serum lactate. Conclusion: Abdominal trauma is a frequent diagnosis in multiple trauma and the presence of extra-abdominal injuries and sepsis has a significant impact on the outcome. Background: Massive transfusion protocols (MTPs) are increasingly used in the transfusion practice and are developed to provide the standardized and early delivery of blood products and procoagulant agents and to supply the transfusion of blood products in a well-balanced ratio. Aim: The aim of this study was to investigate the effect of a hospital-wide introduction of an MTP on blood product ratio and a waste of blood products. 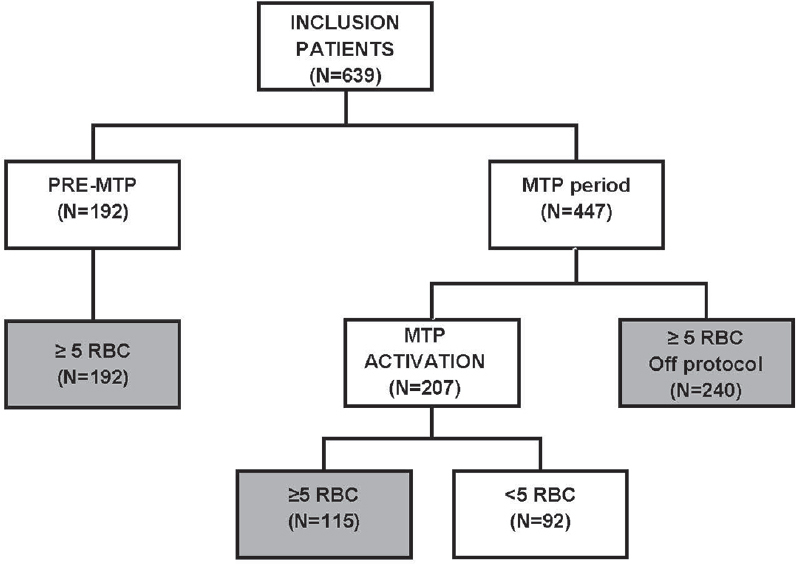 Materials and Methods: Retrospective analysis was performed to compare the transfusion practice in massive bleeding patients before and after the introduction of an MTP and between the use of an MTP and transfusion off-protocol. Massive bleeding was defined as an administration of ≥5 units of red blood cells (RBCs) within 12 h. Results: Of 547 massively transfused patients, 192 patients were included in the pre-MTP period and 355 patients in the MTP period. The ratio of RBC to fresh frozen plasma (FFP) and the platelets transfused shifted significantly toward 1:1:1 in the MTP period (P = 0.012). This was mainly caused by a shift in RBC: FFP ratio (P = 0.014). An increase in the waste of blood products was observed, most notably FFPs (P = 0.026). Extending the storage time after thawing reduced the waste of FFPs from 11% to 4%. Conclusion: Hospital-wide introduction of an MTP is an adequate way to achieve a well-balanced transfusion ratio of 1:1:1. This comes at the cost of an increase in the waste of FFPs, which is lowered after extending the duration of storage time after thawing. 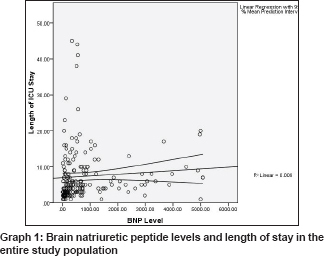 Background: Brain Natriuretic Peptide (BNP) is a polypeptide secreted by the ventricles as a response to cardio-myocyte stretching. 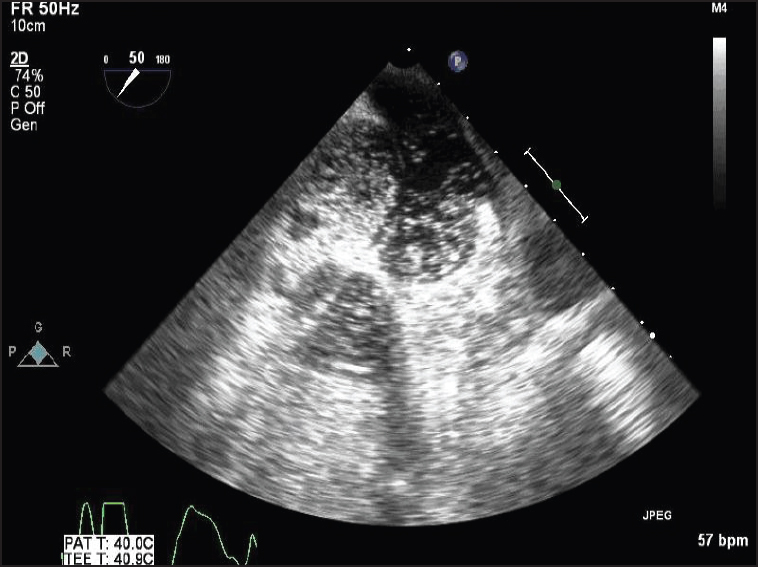 Due to its cardiac origin and correlation with volume overload it has been successfully used for a long time in diagnosing and prognosticating Cardiogenic Pulmonary Edema. Materials and Methods: In this retrospective cohort study, an attempt was made to observe any correlation between admission BNP levels with APACHE II scores and length of ICU stay, in patients admitted with dyspnea to the ICU of a community based hospital. Results/Conclusion: This study showed no significant correlation between length of stay in an ICU and admission BNP levels in dyspneic patients. Independent variables such as age and gender failed to show any coorelation either. Context: Trauma patients requiring procedural sedation and analgesia (PSA) may have increased risk of adverse events (AEs) and poor outcomes. Aims: To determine the incidence of AEs in adult major trauma patients who received PSA and to evaluate their postprocedural outcomes. Settings and Design: Retrospective analysis of adult patients (age >16) who received PSA between 2006 and 2014 at a Canadian academic tertiary care center. 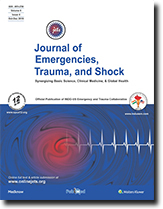 Materials and Methods: We compared the incidence of PSA-related AEs in trauma patients with nontrauma patients. 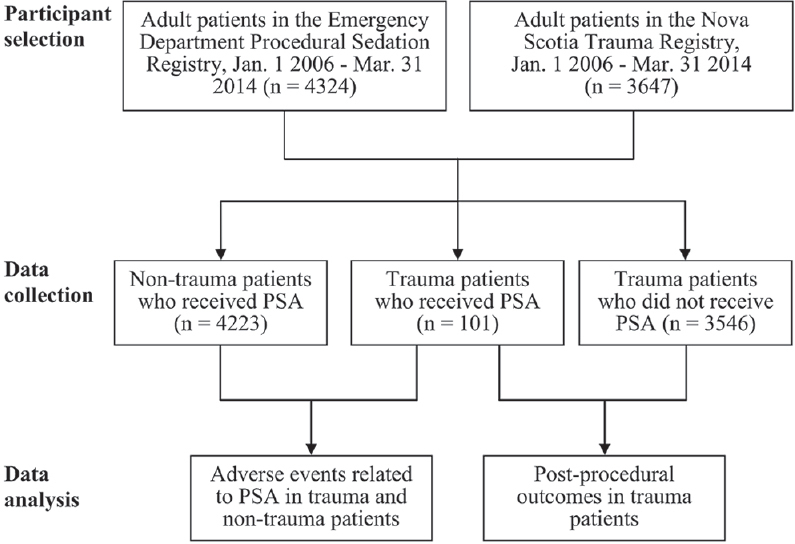 Postprocedural outcomes including Intensive Care Unit admission, length of hospital stay, and mortality were compared between trauma patients who did or did not receive PSA. Statistical Analysis Used: Descriptive statistics and multivariable logistic regression. Results: Overall, 4324 patients received PSA during their procedure, of which 101 were trauma patients (107 procedures). The majority (77%) of these 101 trauma patients were male, relatively healthy (78% with American Society of Anesthesiologists Physical Status [ASA-PS] 1), and most (85%) of the 107 procedures were orthopedic manipulations. PSA-related AEs were experienced by 45.5% of the trauma group and 45.9% of the nontrauma group. In the trauma group, the most common AEs were tachypnea (23%) and hypotension (20%). After controlling for age, gender, and ASA-PS, trauma patients were more likely than nontrauma patients to develop hypotension (odds ratio 1.79; 95% confidence interval 1.11-2.89). Conclusion: Although trauma patients were more likely than nontrauma patients to develop hypotension during PSA, their outcomes were not worse compared to trauma patients who did not have PSA. Open globe injury (OGI) is a severe form of eye trauma estimated at 2-3.8/100,000 in the United States. Most pediatric cases occur at home and are the result of sharp object penetration. The aim of this article is to review the epidemiology, diagnosis, management, and prognosis of this condition by conducting a systematic literature search with inclusion of all case series on pediatric OGI published between 1996 and 2015. Diagnosis of OGI is based on patient history and clinical examination supplemented with imaging, especially computed tomography when indicated. Few prospective studies exist for the management of OGI in pediatric patients, but adult recommendations are often followed with success. The main goals of surgical management are to repair the open globe and remove intraocular foreign bodies. Systemic antibiotics are recommended as medical prophylaxis against globe infection, or endophthalmitis. Other complications are similar to those seen in adults, with the added focus of amblyopia therapy in children. Severe vision decline is most likely due to traumatic cataracts. The ocular trauma score, a system devised to predict final visual acuity (VA) in adults, has proven to be of prognostic value in pediatric OGI as well. 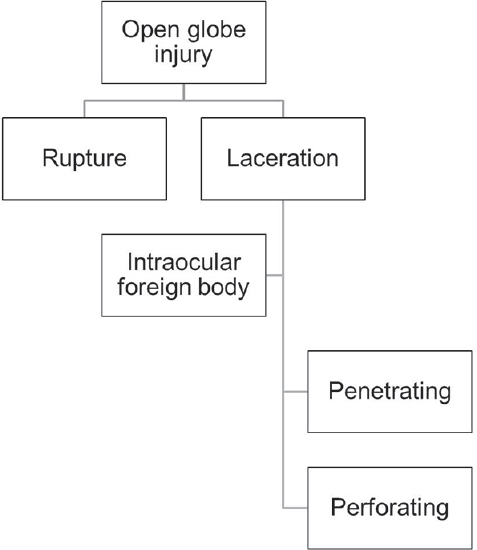 Factors indicating poor visual prognosis are young age, poor initial VA, posterior eye involvement, long wound length, globe rupture, lens involvement, vitreous hemorrhage, retinal detachment, and endophthalmitis. A thorough understanding of OGI and the key differences in epidemiology, diagnosis, management, and prognosis between adults and children is critical to timely prevention of posttraumatic vision loss early in life. Modern medical management of comorbid conditions has resulted in escalating use of multiple medications and the emergence of the twin phenomena of multimorbidity and polypharmacy. Current understanding of how the polypharmacy in conjunction with multimorbidity influences trauma outcomes is limited, although it is known that trauma patients are at increased risk for medication-related adverse events. The comorbidity-polypharmacy score (CPS) is a simple clinical tool that quantifies the overall severity of comorbidities using the polypharmacy as a surrogate for the "intensity" of treatment necessary to adequately control chronic medical conditions. Easy to calculate, CPS is derived by counting all known pre-injury comorbid conditions and medications. CPS has been independently associated with mortality, increased risk for complications, lower functional outcomes, readmissions, and longer hospital stays. In addition, CPS may help identify older trauma patients at risk of post-emergency department undertriage. The goal of this article was to review and refine the rationale for CPS and to provide an evidence-based outline of its potential clinical applications. Thyrotoxic crisis (TC) is defined as a life-threatening exacerbation of the hyperthyroid state that causes multiple autonomic and metabolic disturbances. It is considered to be an endocrine emergency that must be urgently diagnosed and treated. 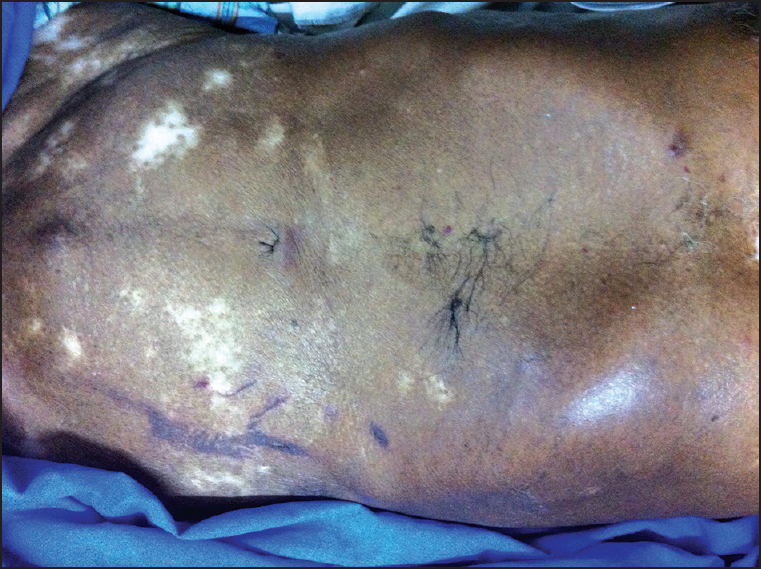 We describe a case of TC precipitated by trauma with a resultant lactic acidosis. The patient is a 24-year-old male with a history of hyperthyroidism who presented to the emergency department following a motor vehicle accident. The patient was initially tachycardic and hypertensive, however, was afebrile. Initial laboratory analysis showed an anion gap of 26, lactic acid 7.6, free T4 5.61 and thyroid stimulating hormone < 0.015. A diagnosis of TC was made, and he was treated with intravenous fluids, propranolol, and methimazole with improvement of tachycardia and lactic acidosis. We discuss the features of this case, which reviews the presentations of TC as well as its metabolic sequelae. The differential diagnosis of dyspnea in Emergency Department (ED) patients is broad and atelectasis is one of the differentials among these. 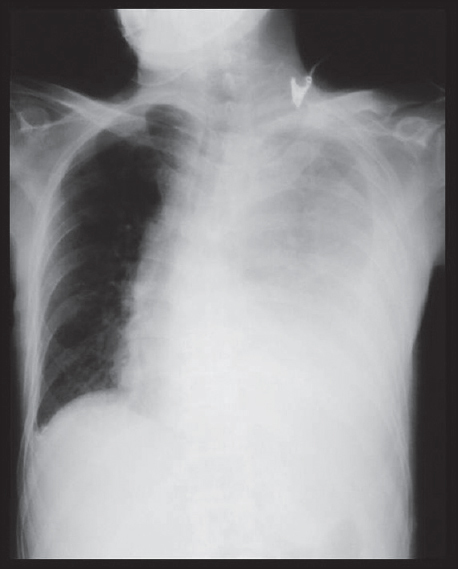 We present a 29-year-old women presented to our ED for evaluation of shortness of breath. On her chest examination, air entry and breath sounds were diminished on the left side but normal on the right. A posteroanterior chest radiograph showed radioluscent area in the upper zone of the left lung, around the aortic arch and also hyperdens area neighbouring this, like covered by a veil. Luftsichel sign together with this hiperdensity were consistent with the diagnose of left lung upper lobe collapse. The Luftsichel sign represents the hyperexpanded superior segment of the left lower lobe interposed between the atelectatic left upper lobe and aortic arch. Patient was discharged to home with chest physiotherapy and breathing exercises together with analgesic prescreption.